My black bag with gold trim and a cute dangly bear is from Xquisis. Very roomy inside. Love it. Oh and the elmo keychain I got from Cheers supermarket lol. I also got my Cream espadrilles from Xquisis. It's a nice casual sandal yet it has a heel... goes well with my dresses as well as shorts. And I got my eye on their new Braided bags :) If you order from xquisis.livejournal.com , you can quote HOLLYJ and you get free postage. 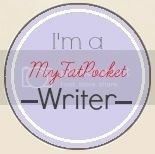 This week on My Fat Pocket, my column is on New Year Resolutions Every Single Woman Should Make. One of my favourite sections on MyFatPocket is Fashion Spotting. 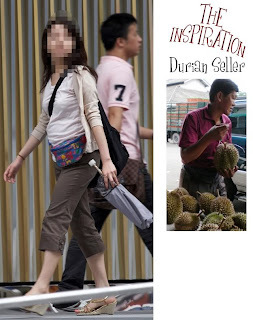 They take candid pics of people off the street (usually in town) and for the Fashion Hits, they also show a pic of a celebrity in a similar style, plus items of that style which you can purchase in Singapore (includes prices!). And for the Fashion Misses, well... it's hilarious. Ok, maybe I'm safe this weekend ... lol.. cos I got a nice white tube dress to wear... it's for a friend's going away dinner. Show u pics soon! Haha Mike Yip.. u made me laugh out loud when i read ur comment - "Ok, no more shopping after this..."
cos I've said it countless times myself... and I'm still buying more! hi holly, i am thinking of getting the wedges, is it comfy? yup. the heel isn't very high. straps are ok. so far so good for me.